ROCKSTORM Presents Aslan, The Undertones, Sons of Gingerbread, Rattle and Hum U2 Tribute show Jokermouse and The Hardy Bucks on Easter Saturday 3rd April at The Royal Theatre Castlebar. The Royal Theatre Presents Rockstorm, the first ever union of Irish Rock Legends Aslan, The Undertones, Rattle and Hum U2 Tribute Band, Sons of Gingerbread, Joker Mouse and to keep us all entertained Swinford's own Hardy Bucks will fill the night with adventure filled stories between acts. This great night strictly over 18's is an eclectic mix of some of the best local acts. Free Afterparty in the Café Bar afterwards with live bands...a great night is guaranteed. 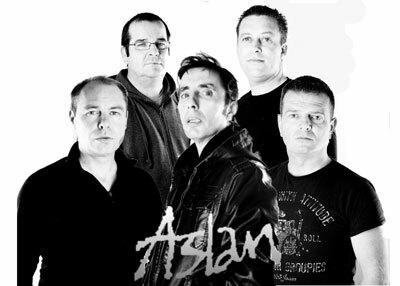 Popular Songs will come back to life over the Easter Weekend as Aslan turn out some of their best loved hits including Crazy World, Angie and Hurt Sometimes, while The Undertones will delight us with renditions of Teenage Kicks, Here comes the Summer and many more. The ever popular Hardy Bucks will have you gasping for air with laughter with their frolics and the Sons of Gingerbread provide an eclectic mix of music to the equation. Dinosaurs to descend on Castlebar! Tom Jones To Rock The Royal Theatre! Hudson Taylor to stop off at The Royal Theatre! Chart Topper Hozier to Play Castlebar! Jimmy Carr comes to The Royal Theatre! Billy Connolly is coming to The Royal! Conal Gallen to film new DVD in The Royal Theatre! Hollywood actress Mischa Barton comes to Castlebar! Struck to play hometown show in The Royal Theatre! Laughter! The perfect remedy for the Recession Blues! New Year's Eve with the Saw Doctors!